The residential freight and moving truck sector is a $19 billion a year industry coming from almost 14,000 retail outlets. Largely to protect business owners, Congress sharply limited the tort liability for these franchisees and owners if vehicle lessees cause car crashes during their rental periods. However, in some situations, traditional negligent entrustment theory still applies, and these owners are still legally responsible for the negligent acts of people that use their vehicles. Normally, to hold vehicle owners liable in this situation, victims need only prove that the tortfeasor (negligent driver) was incompetent and the owner knew of this incompetency. This element is normally fairly easy to establish in large truck cases, because these vehicles normally require commercial drivers’ licenses. But federal law places an added roadblock in commercial negligent entrustment cases. Lawmakers added 49 U.S.C. 30106 to an omnibus transportation bill in 1995. On its face, it applies to any organization that is in the vehicle rental “trade or business,” a critical phrase that is discussed below. In recent years, some courts have extended the Graves Amendment to Zipcar and other car-sharing companies. Rep. Sam Graves (D-MO), who introduced the measure on the House floor, claimed that vicarious liability lawsuits cost companies about $100 million a year, and they passed these costs onto consumers. Other than a few minutes of floor debate, there is absolutely no legislative history in support of this provision, so no one is exactly sure whether or not Rep. Graves’ claim was true. Mostly because the controversial provision was attached to a must-pass spending bill, a practice that party bosses in Washington have since tried to limit, the Graves Amendment narrowly passed and became part of the transportation bill. Like most other last-minute legislative add-ons, the Graves Amendment was hastily drafted, so there are some very large holes. Trade or Business: For immunity to apply, the franchisor or owner must be in the trade or business of vehicle rental. This phrase is nowhere defined, but in ordinary usage, it normally means that an entity must derive most or all of its income from a certain activity. That’s not the case in many moving truck situations, because the franchisor is essentially a moving company that happens to rent a couple of trucks on the side. Not Otherwise Negligent: Back in the 20th century, it was not possible to verify a driver’s license beyond a visual inspection, or at least not practical to do so. Now, because of the internet, such technology exists and it is easy to use. Arguably, the new industry standard is to electronically verify that the customer’s license is indeed valid and that the driving history shows evidence of competence. Failure to do so probably constitutes negligence. 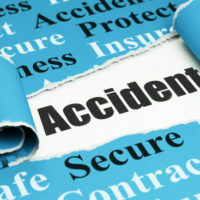 If the victim suffered a serious injury, damages in rented vehicle car crash cases include compensation for economic losses, such as medical bills, and noneconomic losses, such as pain and suffering. Punitive damages may also be available, especially if the owner clearly rented a vehicle to a dangerously incompetent driver. The Graves Amendment makes it harder, but not impossible, to recover damages from vehicle rental companies in car crash cases. For a free consultation with an experienced personal injury lawyer in Brandon, contact Reed & Reed. After hours appointments are available.